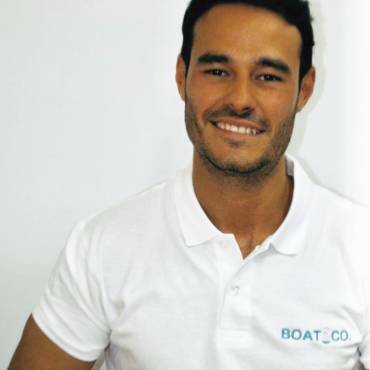 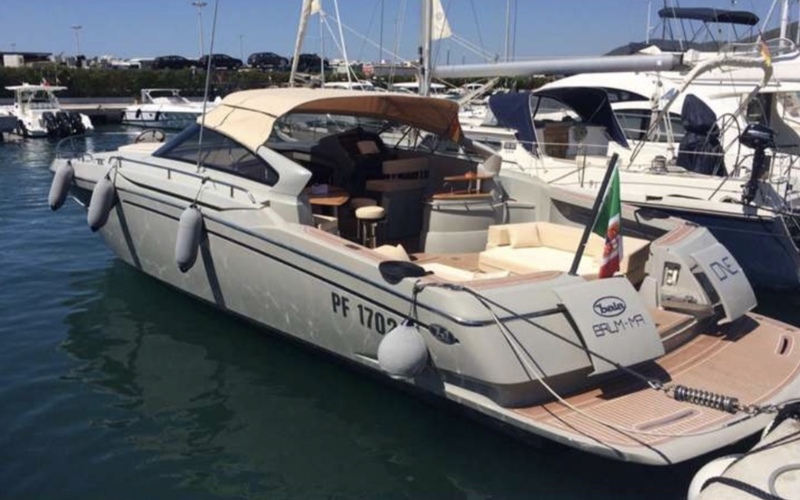 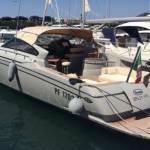 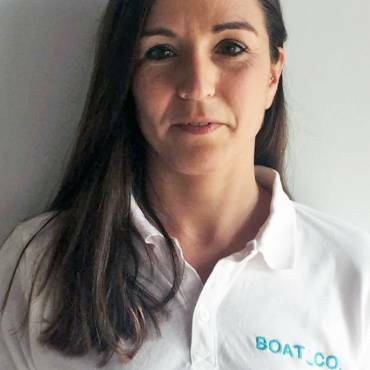 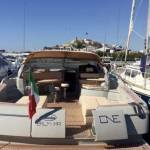 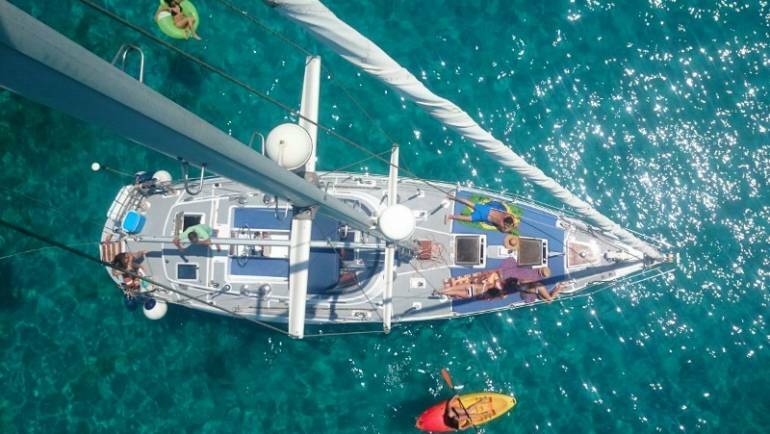 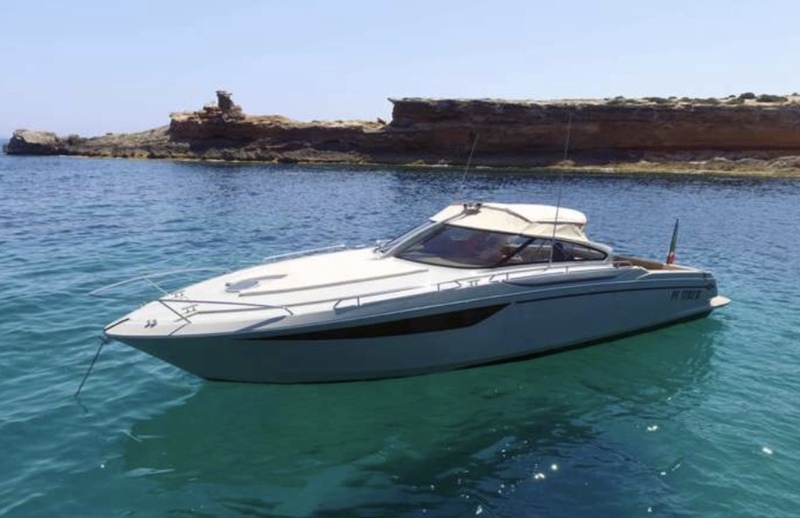 Baia One 43 – Boat and CO. 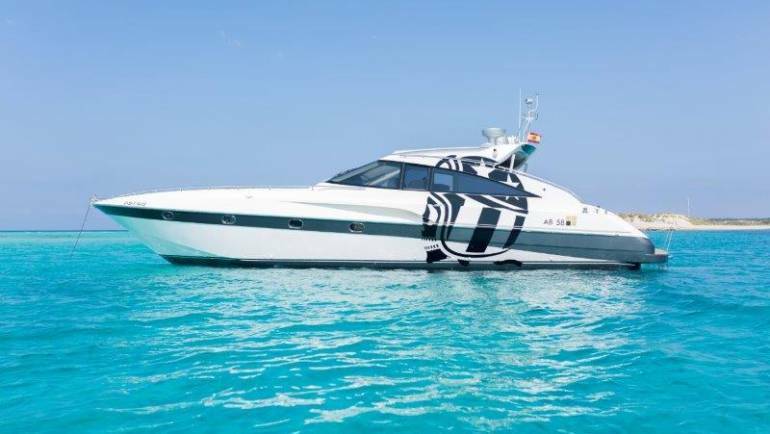 The Baia One 43’ enforces their credibility with its cutting edge design. 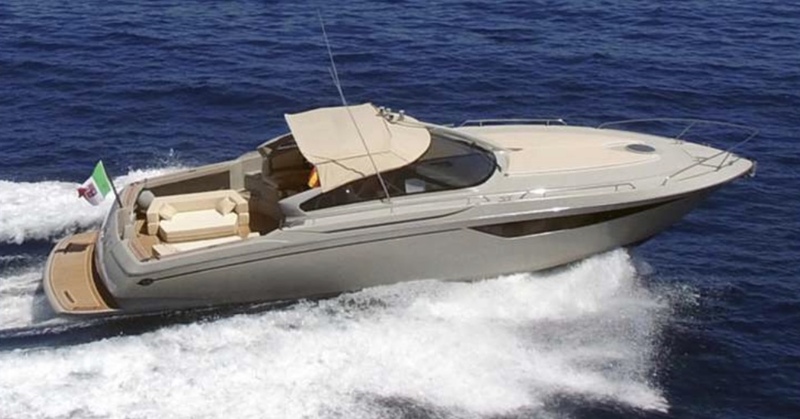 Sleek and extremely versatile, The One 43’ revolutionizes the day boat enthusiast. 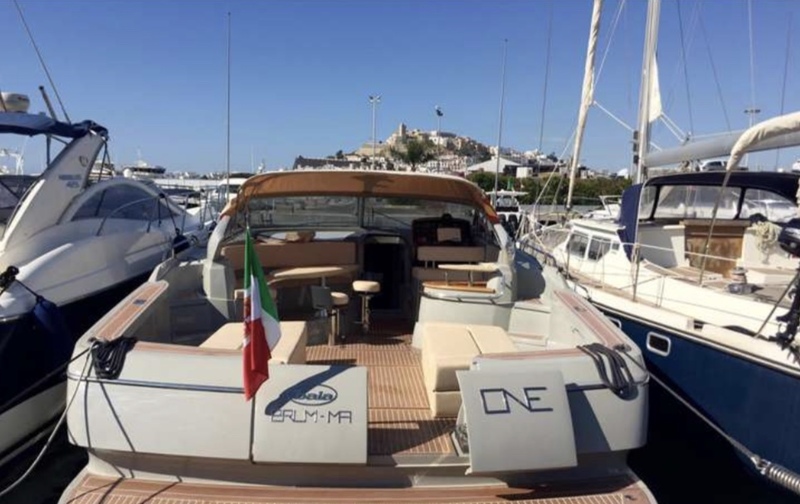 At the helm is a doublewide seat where you can take control. 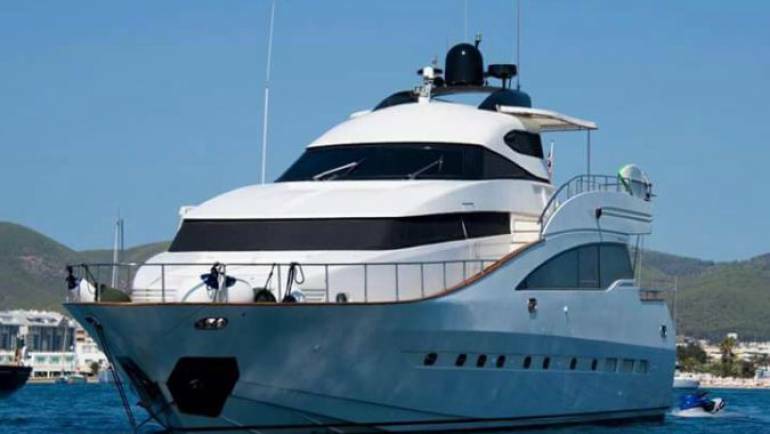 The main deck also offers a wet bar and table with sofa, aft large sun pads or chaise lounges. 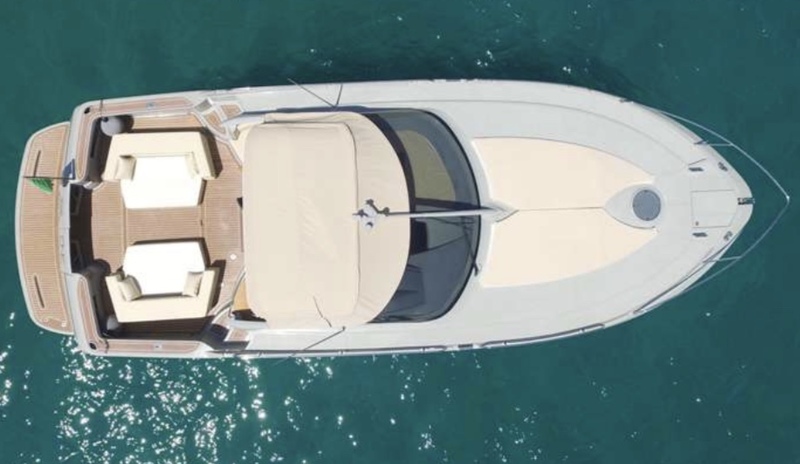 Gull-wing style doors at the stern open to an extended swim platform becoming a single space providing easy access to water. 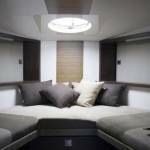 Below decks, One emphasizes the salon/galley area over smaller sleeping quarters. 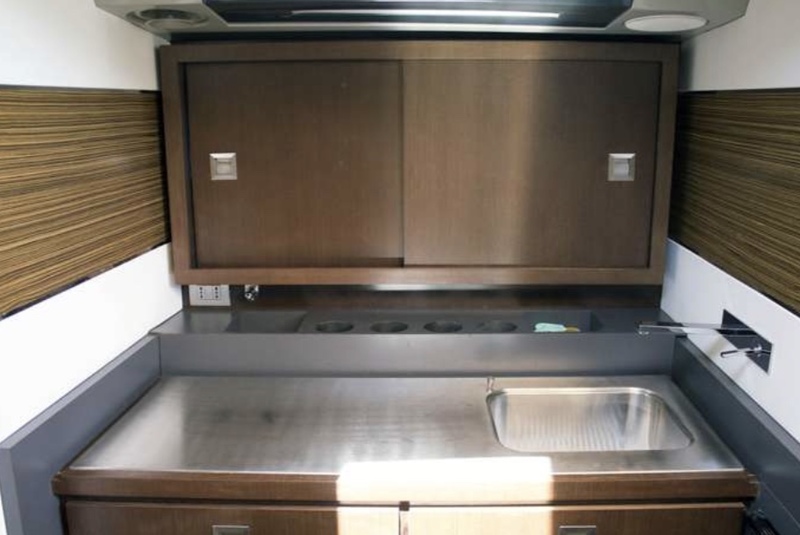 A large skylight enhances the open feel. 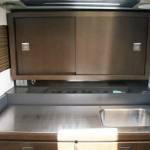 There is a private stateroom with two single berths, and the head has a separate shower. 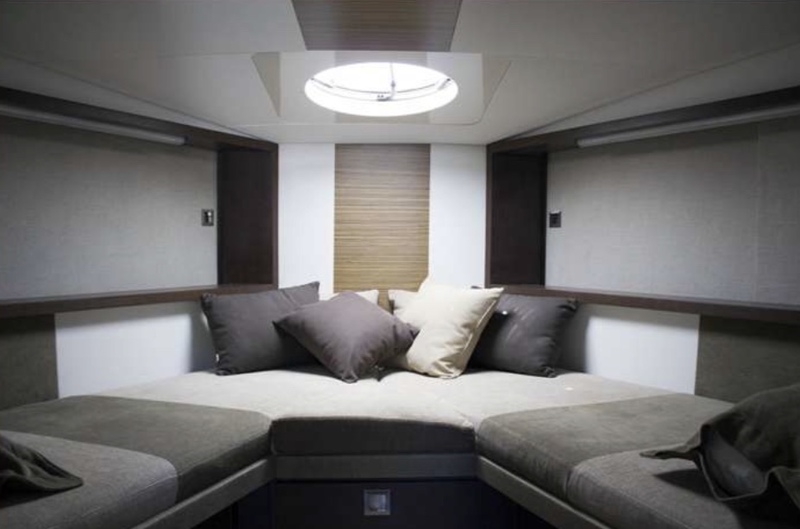 The aft L-shape lounge converts to sleep two more.